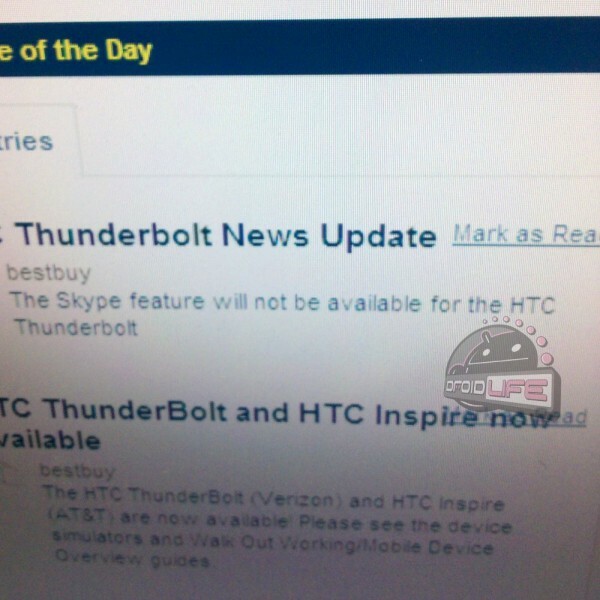 Skype No Longer Ready for HTC Thunderbolt Launch? Word started floating around last night that Skype with video might not be ready for launch with the HTC Thunderbolt after all, even though we had a confirmed date of 2/28 from Verizon. 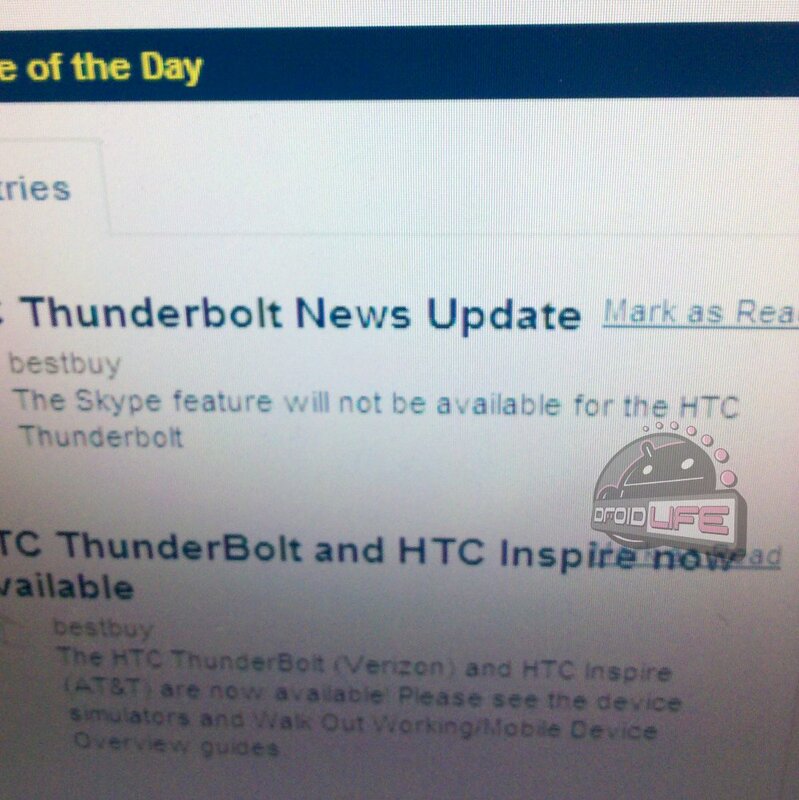 This shot from Best Buy definitely tells a different story and one that has more than a few of us concerned. By no means should we take this as meaning that it will never see Skype though, but should instead just assume it’ll come later in a software update. Remember, we sat at CES and saw Skype’s CEO on stage demoing Skype with video on a Thunderbolt first out of all of the devices. It’s also still plastered all over the VZW 4G page and in HTC’s new commercial, so again, don’t think that the device isn’t going to see it some time soon. We know that the device release date was pushed way up and was initially supposed to launch around St. Patty’s day which leads us to believe that the technology just isn’t ready yet.